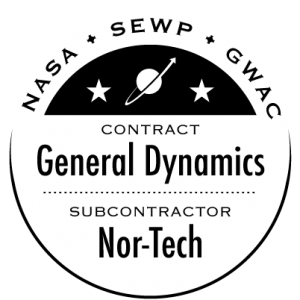 General Dynamics an authorized Nor-Tech HPC cluster reseller was awarded a NASA SEWP V contract. After a long procurement process, the official award was made on March 25, 2015. With the new contract ready to take effect on May 1st, Nor-Tech is excited about their reseller partnership with General Dynamics and the opportunities it may bring over the next five years. As an authorized Nor-Tech HPC cluster reseller, General Dynamics can provide industry leading high-performance computing solutions by Nor-Tech. Combining General Dynamics and Nor-Tech’s innovative approach to providing custom HPC and storage solutions takes the fear out of the procurement process. As a system integrator, Nor-Tech is able to combine computing and storage technologies from multiple vendors to create a single integrated solution. Working closely with our clients, Nor-Tech is able to provide Linux and Windows solutions that meet the computing demands needed to get the job done. Linux solutions include commercial as well as open source options for cluster management and job scheduling. Understanding the goals of the client and having the flexibility to meet them is a foundation of doing business with Nor-Tech. General Dynamics and Nor-Tech’s partnership is an excellent combination for delivering HPC computing and storage solutions. With customer satisfaction the forefront of both organizations goals, the end-user experience is only going to be heightened during the experience. Nor-Tech has 15 years experience building HPC clusters for private companies and as a sub-contractor for projects funded by the NFS, NIH, and DARPA.